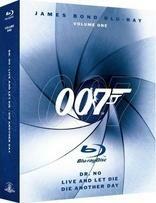 Amazon's deal this week serves up a trio of 007 Blu-ray collections for under $25 each! The online retailer is selling each set for $24.99 (64% off the suggested list price). This offer is only good from now through June 4, and the sale page can be found by clicking here.